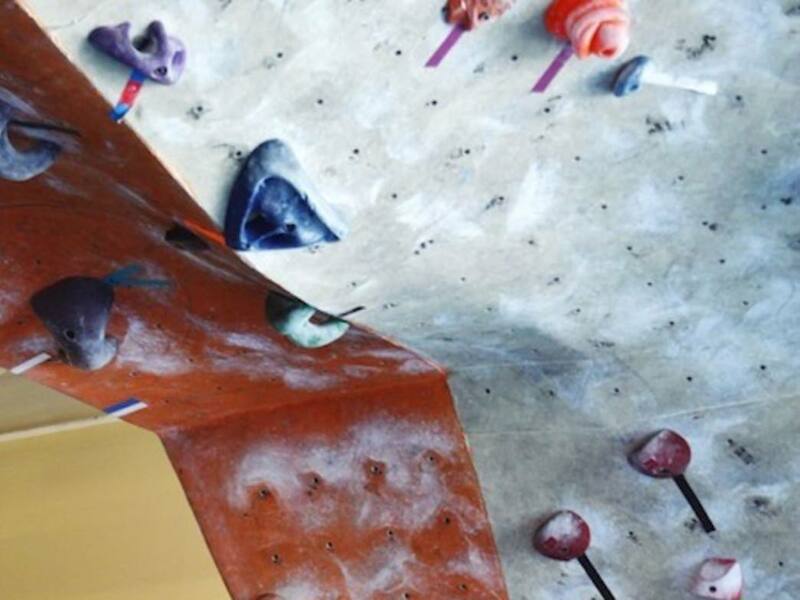 While it does require a certain amount of chutzpah and self-confidence to propel your body skyward, you’ll find that bouldering is a social sport. Daniel Luke, co-owner of Stone Summit and 14-year climbing veteran, shares his tips on how beginners can break into the world of bouldering. In bouldering, routes are ranked on a “V” scale from V0 (easiest) to V15 (hardest). 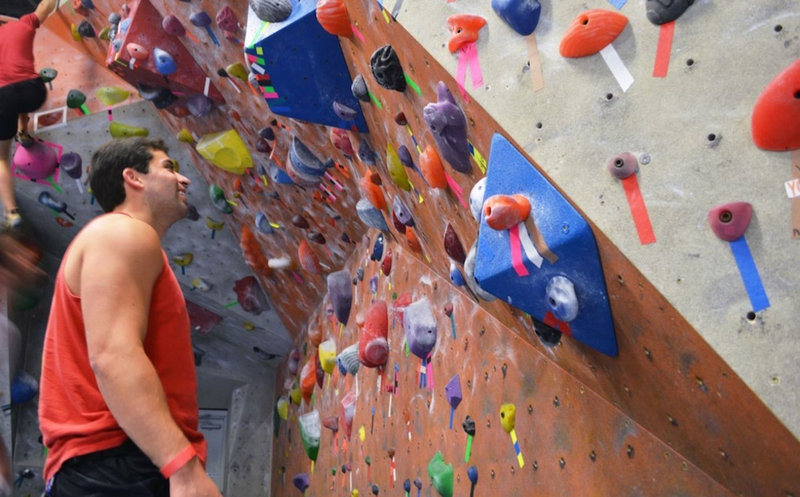 Stone Summit’s bouldering room contains 5,000 square feet of surface and 350 routes designed by climbing experts. 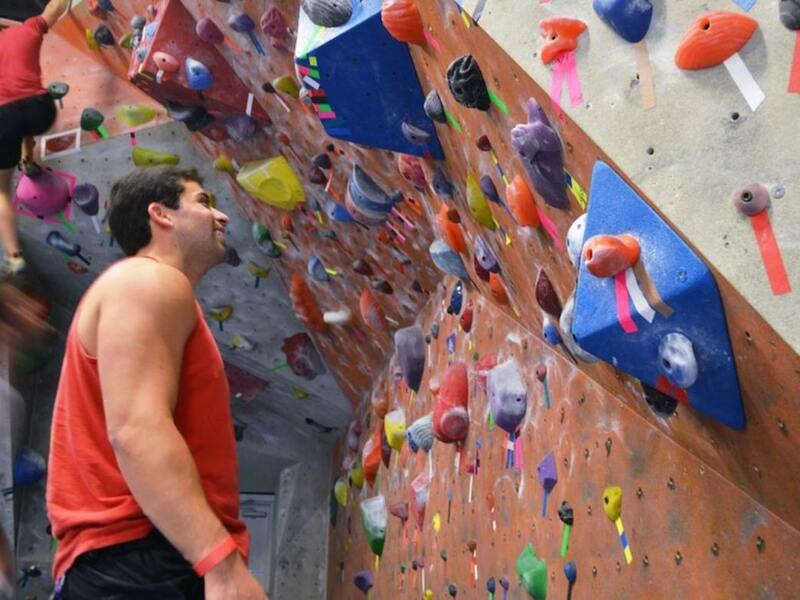 “We want people to grow their bouldering skills at the gym. For that reason, we have around 35 V0 routes,” says Luke. Luke’s advice is that “beginners should watch an experienced climber to understand the physics and body language of bouldering.” Stone Summit’s beginner climbing classes start with this step. Before even touching the wall, visually guide yourself through a route, that way when you’re in the moment, you remember where the closest hold is. If you boulder with friends, ask them to help you spot your route. Climbers are friendly, so if you are alone, don’t be afraid to ask others around you for advice or tips. The shorter the route, the more power exerted. “One barrier people face is that bouldering involves more commitment and dynamic movement. You have to reach a little further for your next grasp,” Luke says. Beginners tend to use their arms, when legs are just as important. Use them to push the body and propel yourself up the wall. 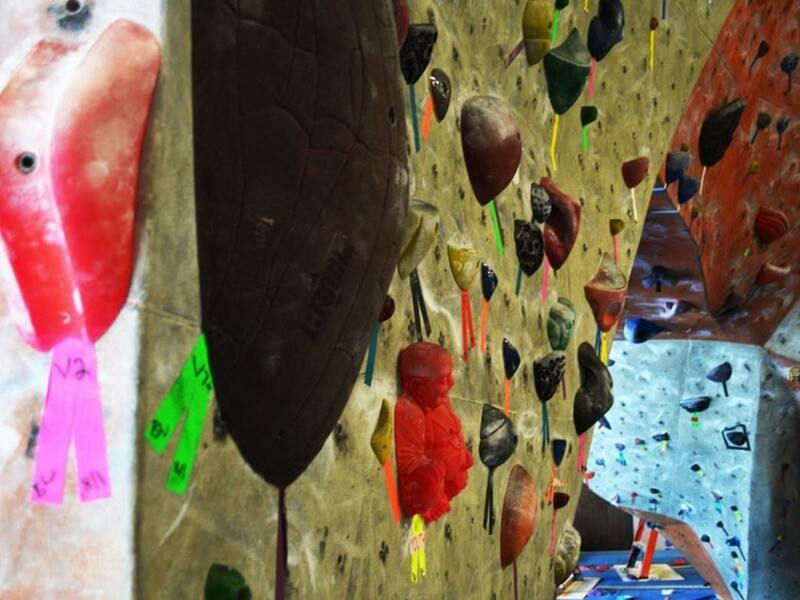 Be sure to understand the mat systems at a climbing gym, because each is different. Practice jumping onto it and see how your body reacts to landing. Southwest of Atlanta near the Six Flags theme park, Boat Rock is an urban bouldering oasis teeming with boulders. The boulders are granite and can be rough on the hands, but you’ll find plenty of natural holds. Entry-level routes include Yellow Arete’s “Yellow Submarine” (V0), Beam Me Up’s “Leah’s Slab” (V0), and Toe Jam’s “Martin’s Marvel” (V1). These cliffs rise above the Chattahoochee River, just below Powers Ferry Landing. They are a next step up from Boat Rock. You’ll find excellent crack climbs here. Remember that all climbing, including bouldering, is inherently dangerous. While the risks can be mitigated with good practices, they can never be eliminated. 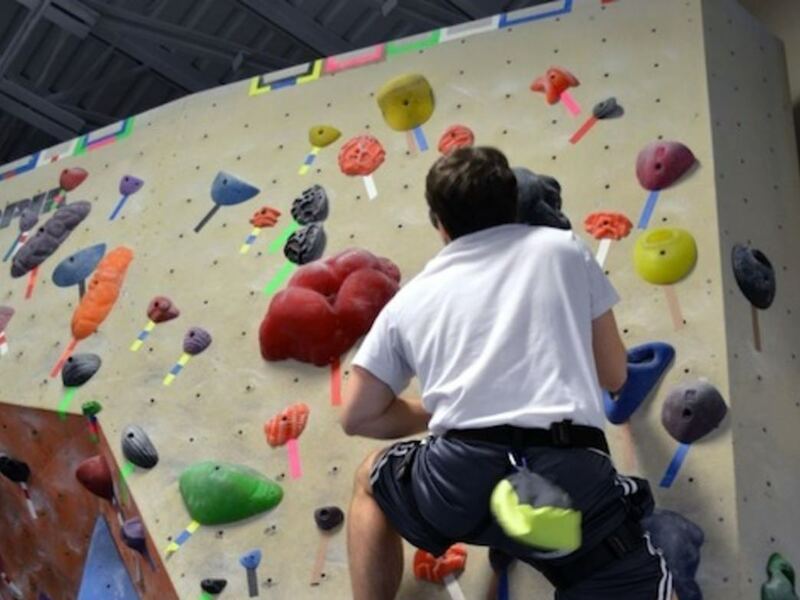 Bouldering is more accessible to beginners than other forms of climbing. For that reason, bouldering can be a great way to begin participating. However, each climber needs to remember that bouldering is as dangerous, if not more dangerous, than other forms of climbing.